For most fliers, it's a matter of preference. Now, in the wake of a fatal Southwest Airlines (LUV) incident, some travelers are thinking twice about where they'll sit. "I'm going to be in the aisle moving forward," said Indianapolis resident Dan Goodwin, 38. "And probably more toward the front of the plane, or the very back, where you're not as close to the wings or the engine." Passengers described a frightening scene in which other fliers had to pull Riordan back into the airplane as she was being sucked out. 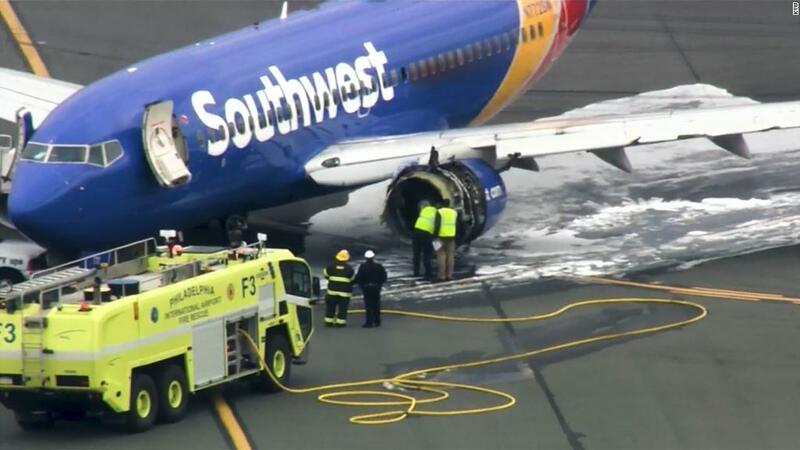 She eventually died from blunt impact trauma at a Philadelphia hospital, after the plane made an emergency landing. CNNMoney asked readers on social media whether the accident would affect their flying habits. Would they hesitate to sit in a window seat? Or be more likely to ask for something on the aisle? Some people said they refused to let an anomaly like what happened on Tuesday dictate their decision-making. Matt Riley, a 23-year-old from Bloomington, Illinois, said he likes being able to look out the window while flying, and is just as likely to ask for a window seat in the future. "Statistically speaking, it seems like [airplanes] are pretty safe," Riley said. He plans to sit in the window seat when he flies to Italy in November. It's true that far more passengers die while traveling in cars, buses or trains than while flying, according to data from the nonprofit National Safety Council. Billions of people fly every year. And the last time a passenger died from an accident on a US commercial flight was 2009, when a Colgan Air flight crashed in Buffalo. Still, a number of travelers said that what happened on the Southwest plane makes them anxious, and they intend to opt for aisle seats on upcoming flights. Ryan Valdez, a 33-year-old resident of Austin, Texas, said that even though he knows there's a low probability that what happened on the Southwest plane will happen while he's flying, it will be difficult to get the prospect out of his head. He'd rather just sit in a middle seat or by the aisle. "This incident is just a contributor to an overall risk assessment," he said. "If it's raining outside and you see there's lightening, are you going to choose to go out there if you don't have to?" It's hard to dismiss people's emotions about flying, said travel writer Joe Brancatelli, who runs the blog "Joe Sent Me." At the same time, he said, it's important to keep things in context. "It's statistically safer to fly than to be in your bathroom," Brancatelli said. "I think anyone trying to look at this fairly, would say — intellectually, statistically, factually — there's no reason not to sit at the window, if you want." Brett Snyder, a former airline manager and editor of the travel site Crankyflier.com, agreed. People shouldn't take the Southwest event into consideration when choosing where to sit, he said. "It's important to stress just how incredibly rare something like this is," Snyder said.